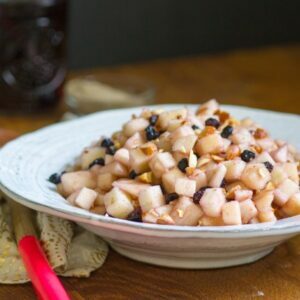 In a large bowl, mix together apples, currents, almonds, and candied ginger. Then add honey, cardamom and grape juice and stir until combined. Add a little more grape juice or honey to taste.